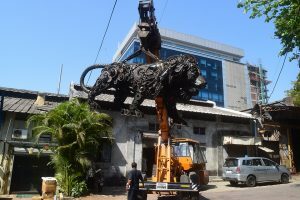 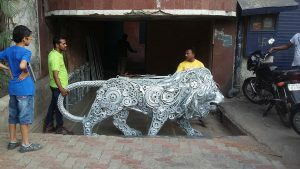 This project is commissioned for BIMA- BOMBAY IRON MERCHANT ASSOCIATION, MUMBAI. MAKE IN INDIA is an initiative launched by the Government of India to encourage multi-national, as well as national companies to manufacture their products in India. 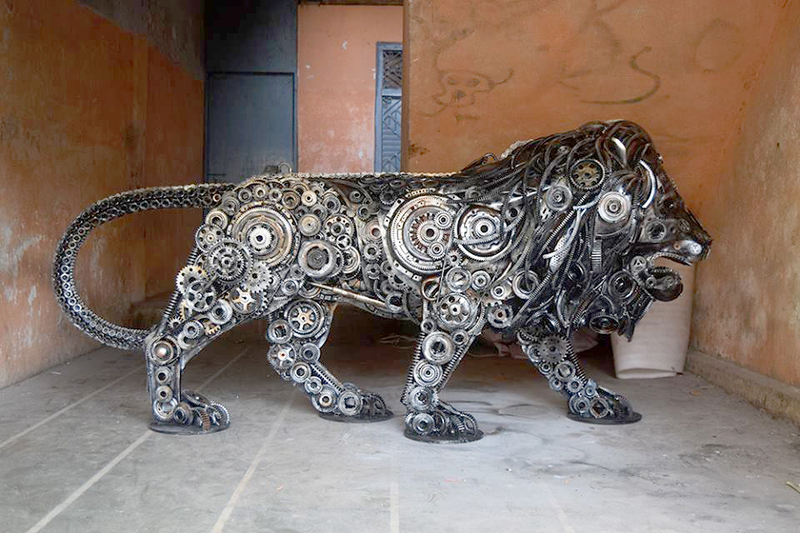 Prime Minister Narendra Modi launched the Make in India program on 25 September, 2014. 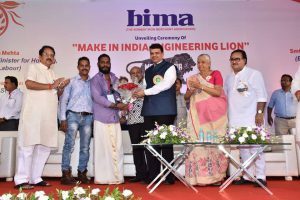 The major objective behind the initiative is to focus on job creation and skill enhancement in 25 sectors of the economy. The initiative also aims at high quality standards and minimizing the impact on the environment. The initiative hopes to attract capital and technological investment in India. I got an opportunity to recreate the ‘MAKE IN INDIA’ lion logo sculpture in metal by using mechanical gear wheels.